Often we are contacted by groups looking for information on bringing an author into their area for a speaking engagement. Following is a brief list on our authors who lecture, and what they can bring to your group. Feel free to contact any one of them if you are interested. 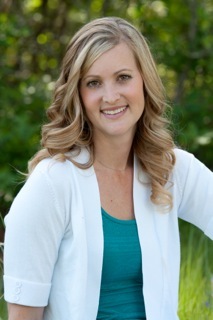 Pediatric Occupational Therapist, Britt Collins, graduated from Colorado State University and since graduating has worked tirelessly on OT and Sensory Integration awareness, research and application. Britt has worked in a variety of settings including pediatric hospital inpatient, ICU, rehabilitation, outpatient clinics, homes, schools and skilled nursing facilities. 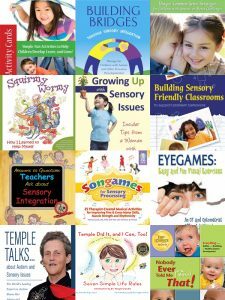 With her award-winning OT DVD series and newly released books, Sensory Parenting: Newborns to Toddlers and Sensory Parenting: The Elementary Years, she’s among the cutting-edge leaders in the field. Her book is receiving enthusiastic reviews from Dr. Lucy Jane Miller and Lindsey Biel, M.A., OTR/L, and she presents nationwide alongside experts Temple Grandin, Paula Aquilla, Diane Bahr and Carol Kranowitz. Britt is the co-creator of the OT DVD series including; OT for Children with Autism, Special Needs and Typical; OT in the Home; OT in the School and Yoga for Children with Special Needs. These were created to be a visual learning tool for parents, caregivers and professionals to help implement OT and sensory integration into the home, school and community. They are a tool that is easily used as a home program from your current OT or therapist. Britt’s professional specialties include: applying creative approaches to sensory processing disorders, incorporating innovative sensory treatments in the home, school and clinical setting, and providing practical solutions to managing different types of behavior. Britt is also has vast knowledge and experience working with children with special needs, their families, and their intervention teams in order to achieve optimal results for the child. Currently, Britt is practicing in Denver, Colorado in the Cherry Creek School District as well as providing in home early intervention for children ages birth to three for Results Matter Therapy. For more information on Britt, please visit www.sensoryparenting.com. 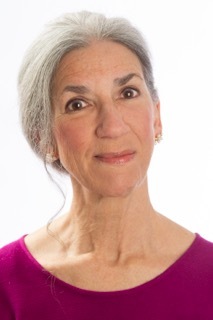 As the founder and executive director of the pioneering Sensory Processing Disorder Foundation, Lucy Jane Miller, PhD, OTR, is internationally known for her research into Sensory Processing Disorder and her efforts to promote understanding of the condition through education and advocacy. Few speakers combine as Dr. Miller does the unquestioned expertise that comes from a lifetime of research and the compassionate understanding that comes from clinical experience. She is a speaker who both does and teaches, a winning combination that routinely attracts huge audiences of parents and professionals. Dr. Miller brings authority and passion to every presentation she makes. She is prepared to address a wide range of topics that relate to SPD, its subtypes, evidence-based research and the sensory aspects of many other childhood developmental disorders, including ADHD, autistic spectrum disorders, and other conditions. Her standard honorarium is $6,000 per day but has a minimum requirement of 2 days. Reimbursement for travel, hotel, and other per diem expenses is also required. Details about Dr. Miller and her work may be found on the About Us page at www.spdfoundation.net. Sensory vs. Behavior – Parenting advice on how to find the clues you need to help answer whether a child’s behavior is caused by a sensory issue. This includes defining tantrum and meltdown. Sensory Diet at Home (SOAR) – I call this SOAR – Sensory Observation and Activity Response in an attempt to move away from the term ‘sensory diet’. The presentation offers a parent’s ‘how to’ on recognizing, observing and documenting sensory issues in order to create a custom home-based sensory diet intended to minimize meltdowns and increase a child’s ability to self regulate. The Value of Self Care for Parents – More inspirational and humorous – with the theme of take care of yourself, it gets better! Emphasis on finding and accepting support. Family Strategies for Raising a Child With SPD – From how to talk to your child, family, friends and child’s caregivers about SPD, how to handle holidays, creating visual schedules, sensory diet at school, and other real ‘nuts and bolts’ of day to day living for parents. This is expected to be heavy in Q&A with more audience participation. Hartley can and will talk on most parent directed topics that focus on parenting through resources sharing, parent-to-parent advice and/or support for parents of special needs kids. She has three sons: two with autism (PDD and Aspergers), two with giftedness, one with ADD, all three with sensory. Her oldest is adopted, has bipolar disorder and multiple learning disabilities. Because of the wide range of parenting experience she has, she is comfortable doing a more customized presentation based on the client’s need (ie a focus on foster care, or a focus on adoption, focus on multiple diagnosis, etc.). A toolbox of activities is included in this workshop to help build proficiency in each area. How to help the clumsy child and the “coach potato” get moving AND more coordinated! Preparing Your Child for the Classroom through Play: This workshop helps parents understand how playing with their children will build the key foundations that must be in place to ensure a child’s success at school. Areas addressed include: core strength, hand strength and coordination, bilateral and eye hand coordination, tactile discrimination and visual perception. A toolbox of activities is included in this workshop that parents and children can do together. Skip the workbooks for better ways to learn spatial and visual perceptual concepts critical for all academic areas. How to help the clumsy child and the “coach potato” get moving, organized AND more coordinated! How these strategies build a more confident and happy child! Why Children Need to Play: Now more than Ever! Play Reflect Connect – Build it and they will CONNECT – Computer games for kids by kids – Using our book of 12 proven lesson plans, FACES – Fun Activities to Connect Engage and Socially Succeed, we propose a presentation/inservice that includes theory and research information on non verbal communication and beginning perspective taking skills. FACES works with socially young children, ages preschool to 8th grade, on the recognition and portrayal of facial expressions, developing joint attention and beginning to understand perspective taking. All seminar attendees receive a digital version of the FACES Deluxe Series which includes the book, FACES, and two computer games – What’s My Mood? and Memory Mood Mash-Up. Attendees will be shown how to customize the games with their children’s/student’s photo in the game. Imagine the impact on students’ social development when they’re better equipped to read and interpret the facial expression of their peers! The seminar will also include ideas for video self modeling and cross environmental carry over activities. The game and programs include data collection aimed at measuring individual student progress overall and by each emotion. Please visit our website – www.playreflectconnect.com for more information; watch the clip of the NJEA’s acclaimed Classroom Close Up show capturing the experience for an entire second grade in Medford, NJ; and take a game or two for a test drive. Warning: you could get hooked. Learning in Motion – Engaging children through meeting their movement and sensory needs while learning. How to teach the young learner and maintain attention and motivation. New issues of Sensory Focus Magazine are no longer being printed. If you liked Sensory Focus Magazine, check out Autism Asperger's DigestOur sensory authors are regular contributors there!